If you’re like most people in the industry, you want to take your moving company to the next level. 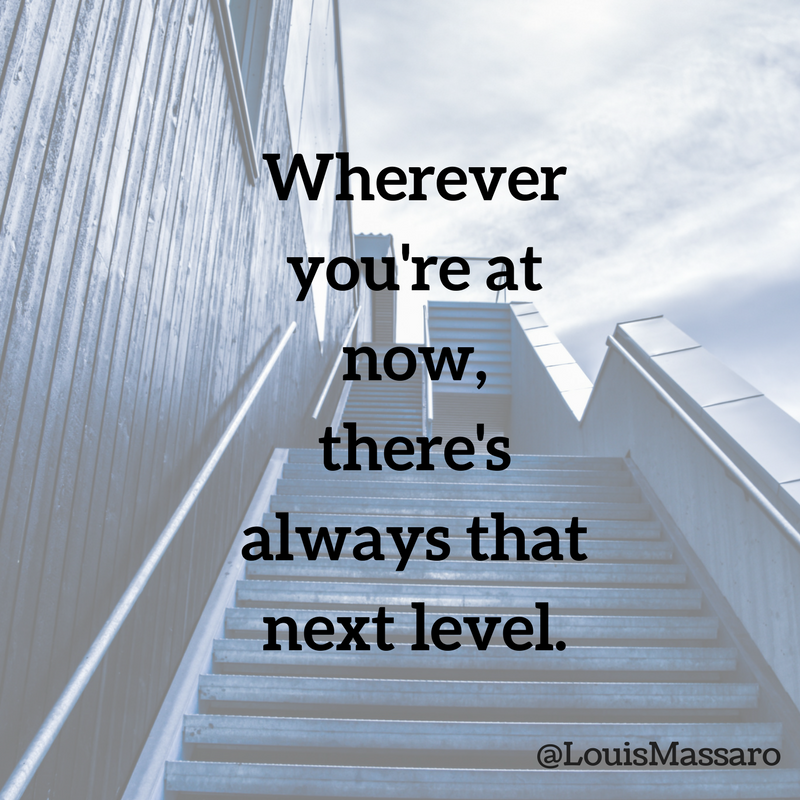 Whether you’re just starting out or have been in business for twenty years, there’s always the next level of achievement that can be reached. But what does that mean for YOU? Why is it that some moving companies are struggling just to stay in business and others are making millions every single year? It’s because the companies that are making millions have their systems in place, they have their processes in place. They take their business seriously and put in the time to build it. Do you want to take your moving company to the next level? If so, start working on your systems and processes. If you want to go beyond where you’ve been able to get to so far, you need structure in your business. You’re going to need a team and that team needs to know exactly what they should be doing. How do you think McDonald’s got to be so big? The systems and processes. I believe that when you’re not worried about money, when you’re not worried about whether you’re going to book enough moves to pay the bills and have money to take home every single month you can focus your time, energy and resources on providing quality service to your customers. Set up systems to make sure the moves keep flowing in and then focus on providing quality service to your customers. Go out there every single day and create raving fans out of your customers. Provide excellent service and make their move less stressful. 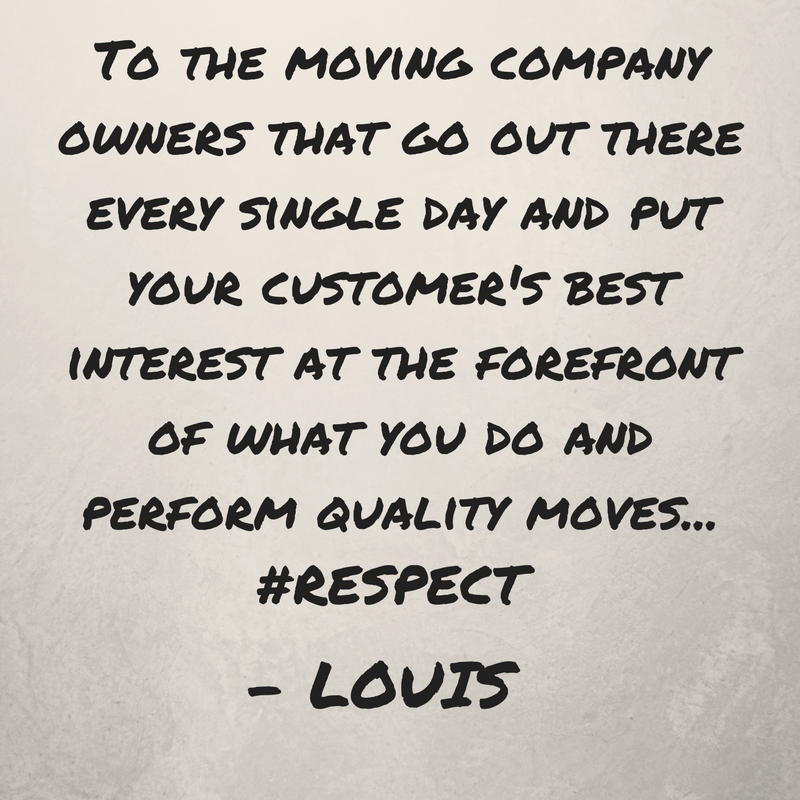 The only moving companies that are going to last are the ones with excellent customer service. It’s not just about profiting in business. My motto is “profit in business, thrive in life”. You need to be able to do both. What good is making millions of dollars if you don’t take the time to enjoy it? It’s all about freedom! Freedom to do what you want, when you want and with who you want. There were many times on my journey of growing my moving company to $20 million a year where I felt like “I can’t do this, this is beyond my level of capabilities” but you know what? That’s where you grow, that’s where you become better. Everyone has doubt, it’s human nature. Just don’t let it keep you from taking action. Courage is taking action in spite of fear. You have to constantly be on the edge of your comfort zone and pushing it a little further all the time. Staying in your comfort zone is a recipe for an unfulfilled life. There is a whole world waiting for you beyond that imaginary line. Go enjoy it. I talk to moving company owners every day, and the number one thing is, how do I get to that next level? Regardless of what their particular circumstance is, they always want to achieve more, they always want to have their business running smoother, they always wanna be making more money, they wanna be able to take time off and enjoy themselves and be able to take vacations and not be working 80 hours a week. What does it all come down to? It’s like, how do I get to that next level? They feel a sense of being stuck where they’re at and wanna break out of that. And I tell ’em that it’s possible. I did it. I started with nothing and went to $20 million a year. Now, that may be what you’re looking to do, or maybe you just wanna have a business that’s doing a few million a year and be able to bring home a couple hundred thousand a year for yourself. But either way, there’s always that next level. So the thing that you wanna remember is that it’s possible. And there are times where you get discouraged and then times where you feel like, “You know what? This is such a hard business.” Take a step back. Look at how many companies are out there achieving at high levels. 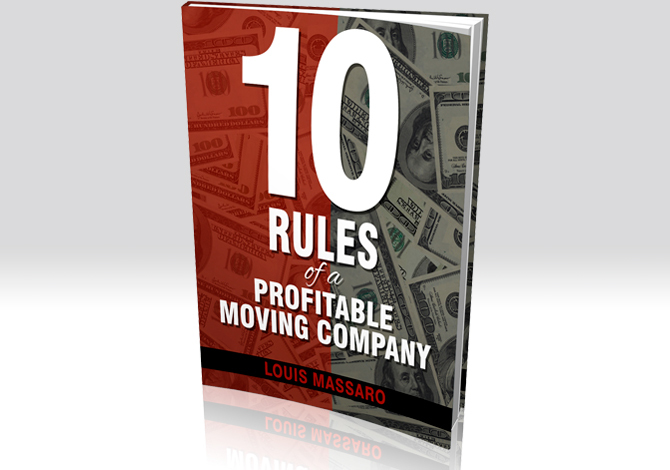 Why is it that some moving companies are struggling just to stay in business and others are making millions every single year doing the same thing? It’s because the companies that are making millions have their systems in place. They have their processes in place and you know what? They take it serious. They put in the time and they treat it like a business. I see a lot of companies out there and they say, “You know what? I’m gonna get some trucks and get some movers and throw it together and try to make some money.” And the back end isn’t there. The systems aren’t there. The processes aren’t there, and that’s what you’re gonna need if you wanna get to that next level. So when I say the next level, I don’t mean that you need to shoot for $20 million, $100 million a year, whatever outrageous goals you might have. Maybe you just really want to make more money. Maybe right now you’re bringing home $200,000 a year and you wanna go to $400,000 year. Whatever that is, I’m sure you wanna go to that next level. What does that do for you as a company? I believe that when you’re able to not worry about money, when you’re able to not worry about if you’re gonna book enough moves to pay the bills and have money to take home every single month, you can focus your time, your energy, your resources on providing quality service. I’m doing this because I know there’s some really good people in this business. There’s some great moving company owners, they go out there every single day and put their customers’ best interests at the forefront of what they do and perform a quality move. The public needs that. The public needs to feel trust in the moving industry again and be able to know that they can go online, they could find a moving company, they could see their ratings and know that this company’s gonna come out and take care of me. But I also know that a lot of these companies that are going out and doing a great job every day need some help when it comes to how to market their business, how to sell more jobs, how to actually perform more quality moves so that the public has a great moving company in their market. So I wanna put the tools and the resources and the information that I have in the hands of those people. I want them to go out and be a great moving company in their market. I want them to deliver amazing service to their customers, but I wanna help them get more customers. I know what it’s like to own a moving company where things are constantly changing, the technology’s constantly changing. You look to your right and you look to your left and who do you turn to for answers? I was there, I struggled with it and I went and I found my answers outside of the industry. I looked at the other industries to see how they were doing things and how I could apply that to the moving business. So now I wanna be able to take all that information, take what allowed me to make my company successful and help you make your company successful, because it’s not about just profiting in your business. My motto is profit in business and thrive in life. You need to be able to do both. It’s not about having a business where you set it up and it’s like a job for yourself. You wanna be able to work on your business and not always work in your business. You wanna be able to have systems and processes and the right people in place to when you can enjoy the money you’re making. 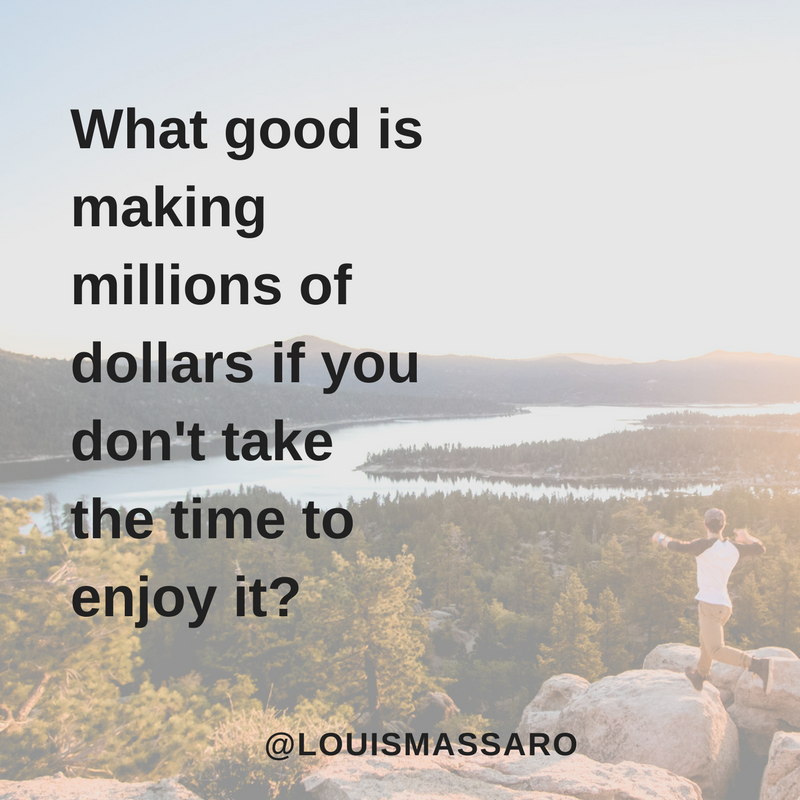 What good is making millions of dollars if you don’t take the time to enjoy it? If you don’t take the time to spend with your family and really enjoy life, that’s what it’s all about. And I see companies out there either struggling in one or two ways. They’re struggling to get their business to that next level, wherever they’re at. That struggle could mean different things for different people, they could just be getting started and having trouble really getting some traction, or they’ve been in business for 20 years and have watched things shift and change, but have been a little nervous to jump in to the new way of doing things and adopt the new modern way of marketing and selling for their business. Either way, it takes a shift in perspective, and that’s what I hope to do. I just wanna shed some light on some things that work for me, ’cause you know what? For many years, I struggled. I did well financially, but I struggled to find the answers and the solutions and everything that I needed to make my business run the way that it did. And you know what? I can share that information with you now. I don’t wanna see somebody else have to go through that information quest to find what they need and try things, ’cause it doesn’t always work. You find some new stuff for your business and you implement it, and you have to sit and wait. And what if it fails? I went through all that, and I’m sure you’ve went through all that. So, if I can help provide any information in any area of your business that’s gonna help you avoid those learning curves, stay ahead of the curve, make more money, be able to set up some systems and processes, and more than anything, show you what’s possible. 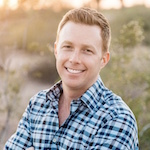 A lot of times, when we’re in the trenches, and we’re grinding it out day-to-day in our business, we start to get a little overwhelmed and we start to feel like maybe it’s not possible, maybe I can’t do this. 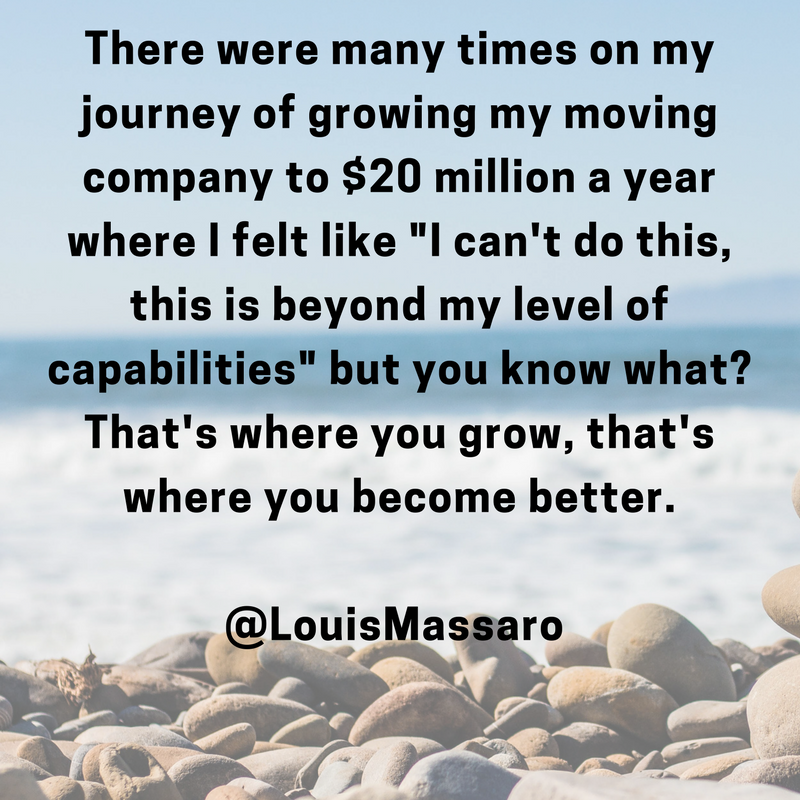 There was many times as I was growing my business and climbing to a $20 million a year level, where I felt like, “You know what, I can’t do this.” Like, “This is beyond my level of capabilities.” But you know what? That’s where you grow. That’s where you become better. You have to constantly be on that edge of your comfort zone and be pushing it a little further all the time, because you develop as a person, your business grows, and that’s how life becomes fun and interesting, and you just become an overall better person for it. Again, it’s not all about making money. It’s about building something that you could, [A] be proud of, that can support you and your family, that you could possibly sell one day and not have to work again or pass it down to your kids. My goal and my promise to you is to always deliver valuable content that you could apply to your business, whether that’s videos, articles, e-books, whatever it is. I’d love to have you come join me in one of my seminars one day, or enroll in my online course, or I’d really love to work with you one on one in coaching. But if not, I’m gonna be providing tons of free, valuable information that helps you get to that next level in your business. So, if there’s anything you ever need, please don’t ever hesitate to reach out to me. I’m here. I’m here to serve. I’m here to help you and I don’t wanna see you go through the struggles I went through, so please, if you have any questions, I’m always available. Reach out to me. Until I meet you in person one day, go out there every single day and profit in your business and thrive in your life. I’ll see you soon.